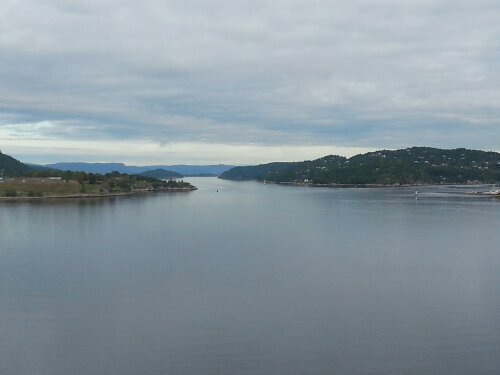 Oslo Fjord…couldn’t wait to share! When I got serious about researching this trip, I had a difficult time deciding if one of our Norway stops should include an excursion to see fjords. After all, we didn’t want to travel this far and miss out on fjords. All of the excursions to see fjords were 8 hours in length ( which we hate ) and the most appealing tour that was offered was in Bergen, which was a town that I really wanted to see. However my research showed that we would see plenty of fjords on our Faroe Islands tour. Also, the arrival into Oslo would have us sail the entire length of the Oslo Fjord …which looked pretty cool ( on paper at least ). I waited for our passage up the fjord with great anticipation, and I have to say my dreams were fulfilled. Sailing into Oslo has been the highlight of the cruise. It ranks right up there with the Panama Canal, Glacier Bay in Alaska, and sailing past the NaPali Coast off of Kuaui. We were blessed with blue skies so our views just couldn’t have been better. 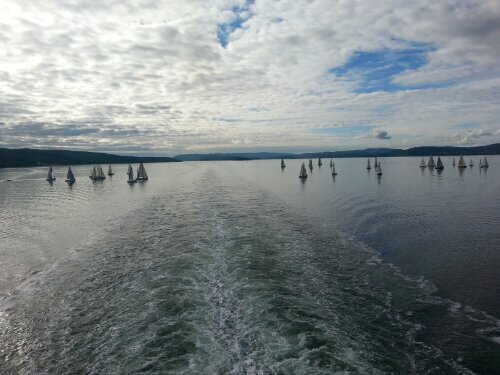 Not nearly as much boat traffic as the Panama Canal, but we did completely disrupt a Regatta. Once in Oslo the sun hid just in time for the HOHO tour. Of course we sat up top and the bus wasn’t enclosed. Figures right? We did most of the loop before alighting at the City Hall to walk the 2 blocks to the Hard Rock Cafe. 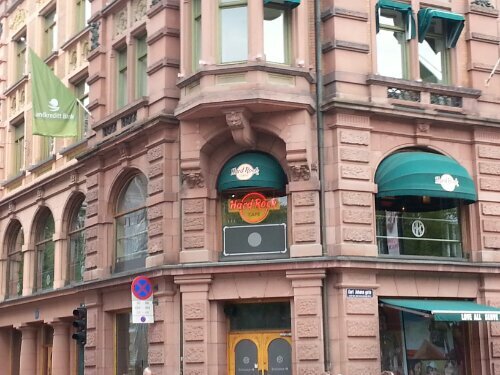 Yes, we knew we were in for $20 beers, but there was something alluring about a fridge magnet from Hard Rock Oslo.